Composite dental filling materials are more popular today that silver (amalgam) fillings for repairing small to medium-sized areas of decay. Composite dental resin materials are mercury-free and come in a variety of shades to match the natural tooth. Cosmetic bonding and white fillings can be an effective and affordable solution to improve the health and appearance of your smile. When destructive bacteria (dental plaque) stays in contact with tooth enamel long enough to interact with foods and sugars to form harmful acids, the result is tooth decay. This process creates tiny holes in the enamel, or cavities, that get larger and progress deeper into the tooth structure. Regular brushing and flossing, along with routine visits for preventive dental cleanings, are the best defense against cavities. Trouble spots and early signs of decay can be identified and treated before they require more extensive care. Composite bonding materials can also be used to repair minor chips and defects in front teeth. After the tooth is prepared with an etchant, composite bonding is applied, shaped and smoothed using an adhesive technique, then activated with a special curing light. While not as durable or stain-resistant as other restorative materials like dental porcelain or gold, composite bonding is an economical approach that can often be comfortably applied without anesthetic. 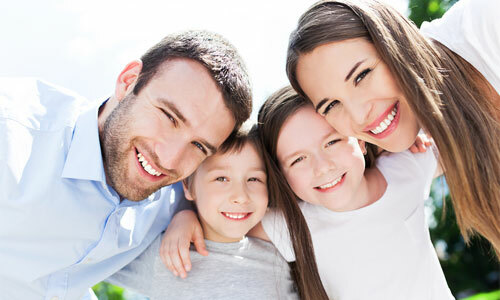 At Dental Care Associates of Waycross, we strive to make your experience with us as easy and comfortable as possible. Contact Us for a complete dental examination.